In just a few short weeks, gamers will no longer have to dust off old titles just to find something to play during this lackluster summer season where very few games are released. September kicks off one of the busiest holiday seasons we have seen for video games in a very long time. With so many games being released by the end of the year, it can become a bit overwhelming. This list will hopefully shine some light on the must-have 2011 games that will be gracing our consoles soon enough. Starting off our list is the long awaited ending to the Gears of War trilogy. It has been a ferocious battle through two games already as we fought through the Locus Horde as Marcus Fenix with the help of Delta Squad. Gears of War 3 will bring the compelling story full circle, and will finally answer many questions loyal fans have been waiting for. Along with a satisfying campaign, Gears offers new experiences on the multiplayer side of things. Gears of War 3 now offers four player cooperative mode throughout the campaign. The multiplayer battles are just as entertaining as always but Horde mode has gotten an upgrade, promising much more immersive gameplay. Beast mode was unveiled which gives players the chance to play as the Locust against the C.O.G in online competitive gameplay. The game will be released as a regular edition or the new Epic Edition which will set you back $150. The Epic Edition comes packed full of goodies that would make any Gears fanboy drool (I already preordered my copy). 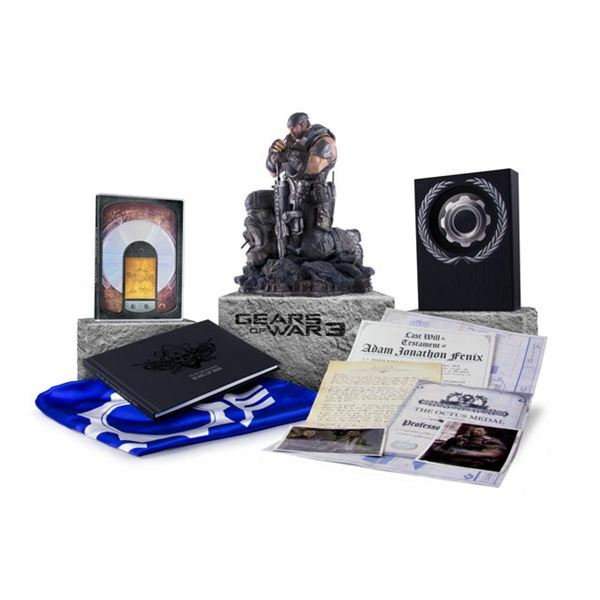 For $150 you get the game, a life like statue of Marcus Fenix, the Last Will & Testament of Adam Fenix, his C.O.G. tags (with DLC codes engraved on them), original schematics of the Hammer of Dawn, a C.O.G. flag and a whole lot more. It is definitely worth the money. If you preorder the game at GameStop, you will receive a “Commando Dom” multiplayer skin. Also, if you really want to get in the Gears mood, how about picking up a Gears of War branded Xbox 360 controller with a transforming d-pad! 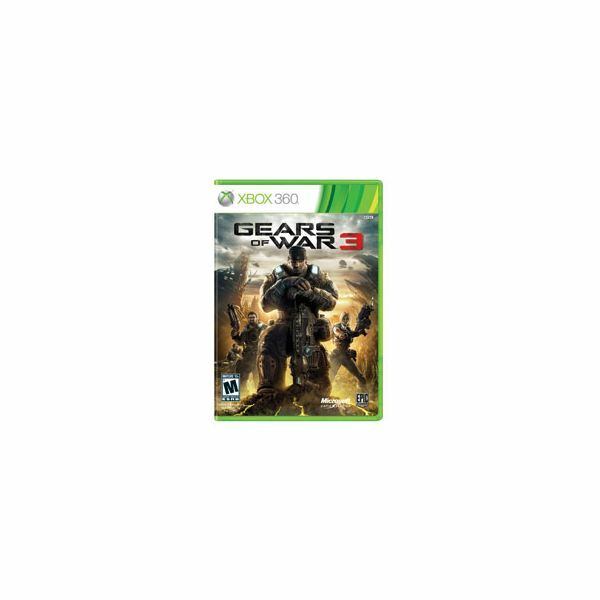 Gears of War 3 releases September 20th. ID Software, the people responsible for giving us DOOM, is releasing a new game known as RAGE. Not too much is known about the story but the player’s character awakes from some sort of stasis pod known as The Ark. The character has no memory or objective but must leave the Ark to figure out what is going on. RAGE is a post-apocalyptic game that shares the look and feel of both Fall Out 3 and Borderlands. RAGE also features a variety of muliplayer modes. Up to six people can duke it out in a vehicle-based free-for-all called "Combat Rally" while "Legends of the Wasteland" allows for online co-op missions in a series of missions that players hear about during the campaign. What really sets this game apart from other games this year is the outstanding graphics. So far, RAGE seems to be unmatched when it comes to graphics and animation. Each and every stone in the game was hand made by an artist, so not one thing in RAGE is the same. 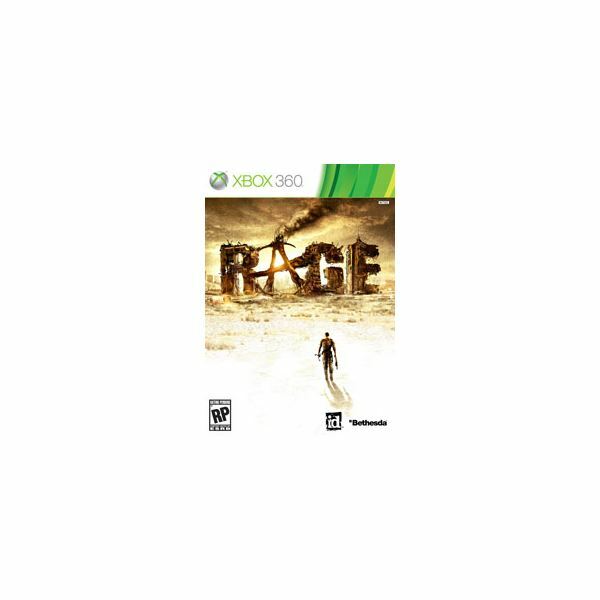 RAGE pushes the limits of what the Xbox 360 can do. It is also rumored that the game will require a 22 GB installation to the Xbox’s hard drive to help with lagging, and loading times. Customers who preorder the game at GameStop will instantly be upgraded to the Annarchy Edition which gives players an instant edge. The Annarchy Edition includes DLC for a double barrel shotgun, Crimson Elite Armor, Fists of RAGE, and Rat Rod Buggy. RAGE is a very promising new franchise that should not go unnoticed. RAGE will be in stores October 4th. Want a taste of RAGE? The iOS game "Rage HD" is free on iTunes for one week. This is one of the most graphically impressive games on the iPhone/iPod, and it just gives you a VERY small taste of what the full game will be like. Following the highly successful Batman: Arkham Asylum, Rocksteady is giving us the next chapter in the Batman series. Within a secret room in Arkham Asylum, there were plans that hinted at the next game which features a whole city. Turns out that players are being given a huge open world experience in Arkham City, no more confinement in the close quarters of the Asylum. 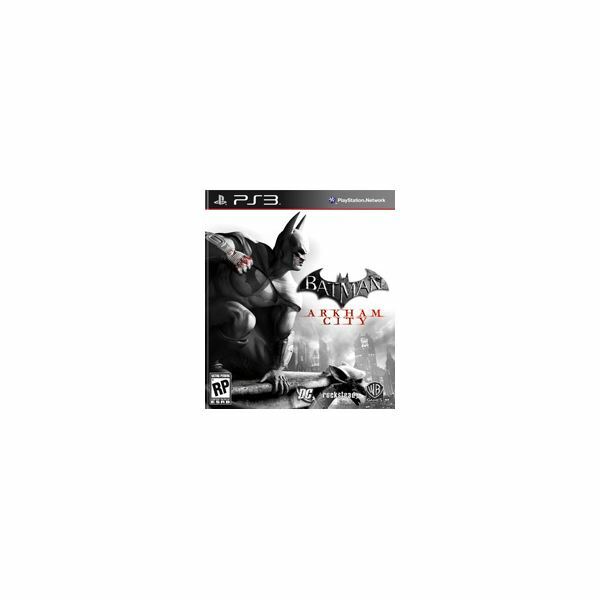 Arkham City pits Batman against the Joker once again but this time, his motives are unclear. Rocksteady has confirmed Doctor Hugo Strange is playing a major role within the game, apparently already knowing Bruce Wayne’s secret identity. This time around players will get the chance to play as Catwoman, whose combat is much faster than Batman’s. It is unclear how much of the story will be told through her eyes, but from what has been seen, playing as the Cat looks very promising. Rocksteady has also confirmed the Penguin, Mr.Freeze, Two Face, Bane, the Riddler, Calendar Man, and Solomon Grundy as villains. This go around, Batman has all the gadgets from Arkham Asylum right at the beginning of the game. Since it is a city, players will be able to take advantage of Batman’s grapple and cape, and fly anywhere they want to in the city. 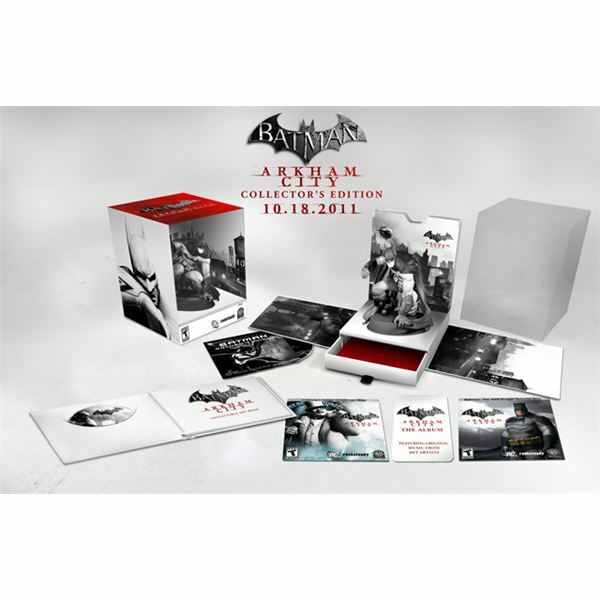 Arkham City is also available to buy as a Collector’s Edition for only $100. This includes: a statue of Batman, early access to the Iceberg Lounge challenge map, Gotham Knight animated film, an art book, four collectible cards, and the Arkham City Soundtrack. Not bad at all for only $100. GameStop and receive the Joker Carnival challenge map! Best Buy and get an exclusive Robin challenge map giving you the chance to play as the Boy Wonder himself. Modern Warfare 3 picks up right where the previous title ends. “Soap” McTavish and Nikolai are on the run as the Russian Federation begins its invasion of the United States. On the multiplayer side of things, Infinity Ward has revamped the kill streaks and how players level up. There is also a new cooperative game type called Survival Mode. Players fight wave, after increasingly difficult wave, of enemies. It seems that it is very similar to the Nazi Zombies we have all come to love. Infinity Ward stated that the enemies would not have pre-determined spawn points, and would instead spawn according to where the players are. The Call of Duty series seems to still be going strong and this new release shows great promise. 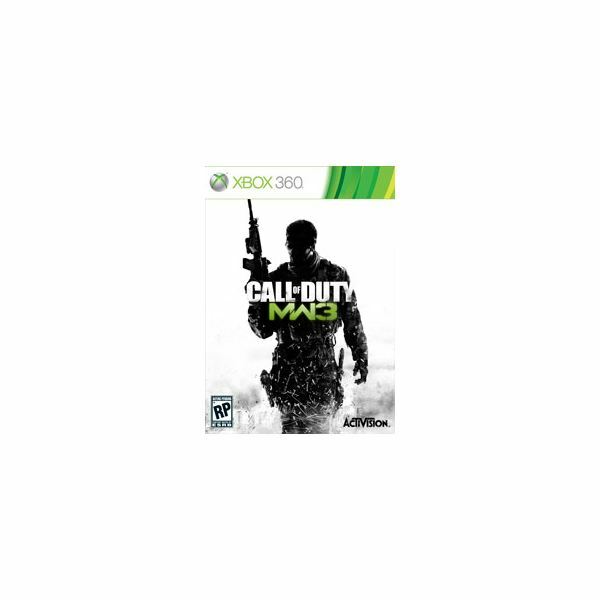 Call of Duty: Modern Warfare 3 releases this November 8th. Out of all the games coming out this year, Skyrim is without a doubt number one on my must-have list. Taking what they learned from the groundbreaking and massive Oblivion, Bethesda is creating another world for us to log hundreds of hours in. Over three hundred hours to be exact! There was no doubting that Oblivion was one of the most expansive games that was released on the Xbox 360. But with Skyrim, Bethesda promises well over three hundred hours of content and side quests to keep us busy for months. Set two hundred years after Oblivion, the player begins his quest within a prison (similar to previous Elder Scroll games). 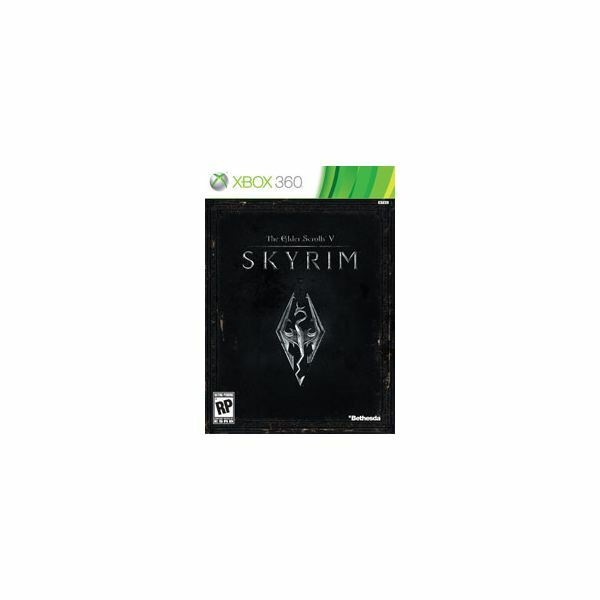 The player learns that he/she is the last of the “Dragonborn” who are to help save the world from the predicted return of Alduin, the Nordic god of destruction. Once out in the world of Skyrim, players can begin to craft their character to their liking with a whole new class system. In fact, the classes are removed so players can focus on what they want to level up, basically creating their own custom class throughout the game. Players can now dual wield weapons and spells, creating more devastating effects, and the bow is now a more powerful weapon. Dragons are the new biggest edition to the Elder Scrolls series, adding a new challenge to quests and combat. The dragons within the game, along with other enemies and NPCs, are controlled by a new artificial intelligence system known as Radiant AI. This allows them to fight, and interact the way “they want to” and gives a realistic approach to combat. After players defeat the dragons, they then absorb the soul/spirit and learn what is called Dragon Shouts. Each Dragon Shout is different than the last and it gives players new powers against their enemies. For example, one Dragon Shout allows players to breath fire just as a dragon would. With extremely life-like graphics, new enemies, and a whole new world to explore, you best believe that I will be playing this game for hours on end. If you preorder the game at GameStop, you will receive a physical cloth map for the game. SWEET! Get lost in the world of Skyrim on November 11th. In the final chapter, before Assassin’s Creed 3, players will be able to play as master assassin Ezio Auditore for one last time. It is very hard to go into much detail about the story without giving away too many spoilers. I will just have to try my best. Ezio Auditore is now a master assassin and is beginning to show his age. This time his journey takes him to Constantinople at the peak of the Ottoman Empire as he tries to find more information on the legendary assassin from the original game, Altair. The city will have four distinct districts, an underground city filled with Templars, and players will be able to return to Masyaf (the original assassin stronghold). Ezio may be older but he brings along some new moves. In Revelations, you will be given a new hidden blade simply titled “Hook Blade”. This allows Ezio to quickly dispatch enemies and effortlessly traverse the Ottoman cities. The biggest addition may be the introduction to bomb crafting. Players can make thousands of combinations of bombs including regular exploding grenades, smoke bombs, bombs that release caltrops, and many more to give you the tactical advantage. 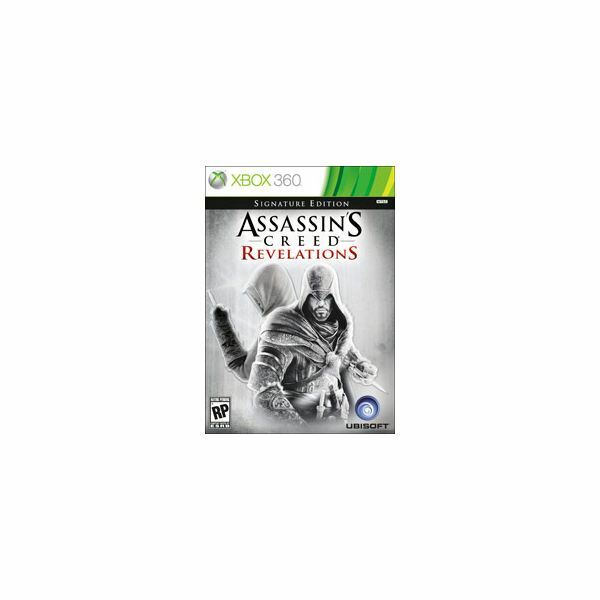 Revelations also gives players the chance to step back into the shoes of the great assassin, Altair. Ezio will be viewing Altair’s memories very similar to how Desmond is viewing his. Desmond will also be a player character as always, but this time he is still in a coma, and his mind trapped within the Animus. Desmond must find a memory link that connects him with both Altair and Ezio. Along with enhanced multiplayer, Assassin’s Creed Revelations seems like it is finally steering the story towards its climactic end. Join the assassins on November 15th. We all remember the opening scene of the original Halo: Combat Evolved. The orchestra that set the mood for a fight that would continue for years to come. Celebrating ten great years of Halo, 343 Studios is giving us a high definition remake of our first trek across the ring world. Nothing has changed story wise within the world of Halo: Combat Evolved. 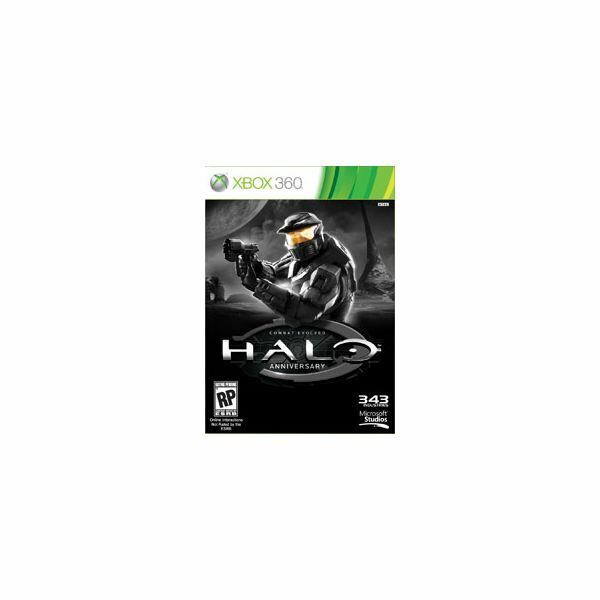 343 Studios is focusing on bringing the groundbreaking game into the world of high definition. Each level and cut scene has been completely overhauled and polished and I must say, it looks absolutely beautiful. Armor abilities are a new edition, being brought over from Halo: Reach, as well as the assassination animations. It has been confirmed that during the game at any time, players can switch back and forth between the updated graphics and the original graphics, showing just how far it has come. I for one think that is a great idea, giving us the chance to see what it looks like then and now. Multiplayer maps have been completely upgraded as well, accommodating armor abilities. All the favorites are here, including Battle Creek, and Blood Gulch. Start the fight all over again on November 15th. Top 5 Most Awaited E3 2011 Games: Find out the Most Promising Titles for This Years Expo and Also the Most Important E3 2011 Events!